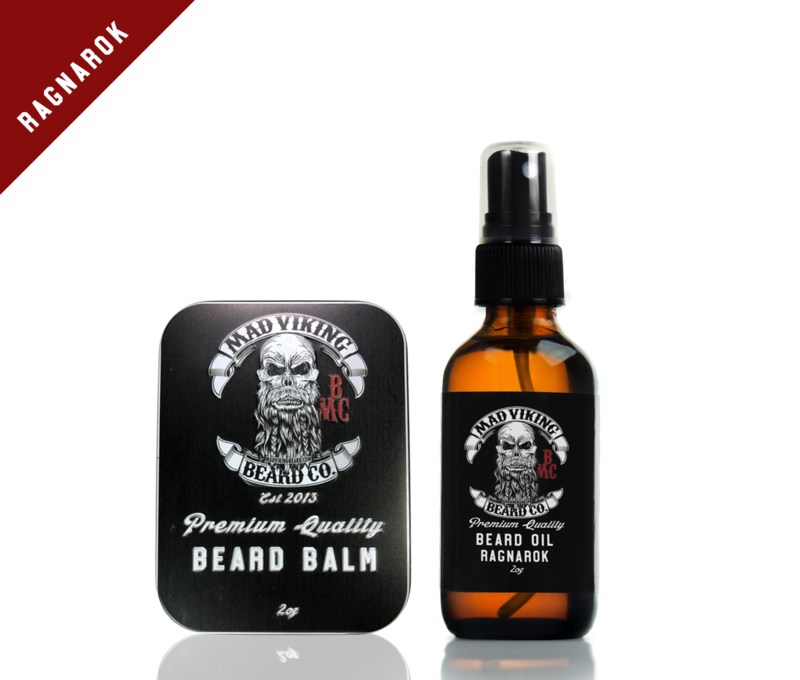 Ragnarok Beard Oil & Balm Combo 2oz - Mad Viking Beard Co.
[Rag-nar-rock]: The Doom of the Gods, the name the pre-Christian Norse gave to the end of their mythical cycle, during which the cosmos is destroyed and is subsequently re-created. 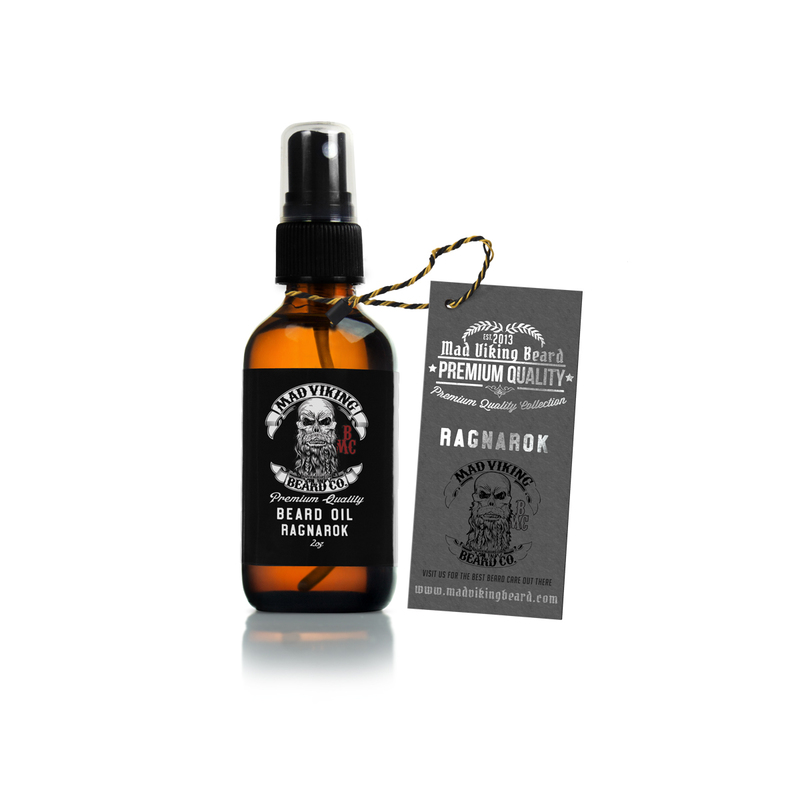 Ragnarok Beard Blend has a heavy citrus profile that presents itself in an incredibly smooth, refreshing manner. Primary notes include orange and tangerine, with undertones of lemon and lime finishing off the scent. 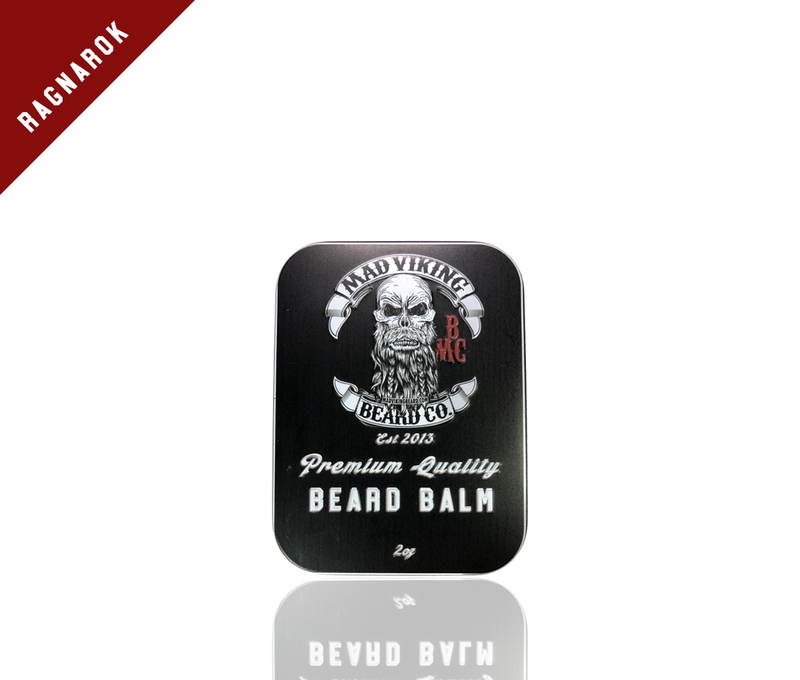 Upgrade to the sample pack today and get a beard wash with your order!